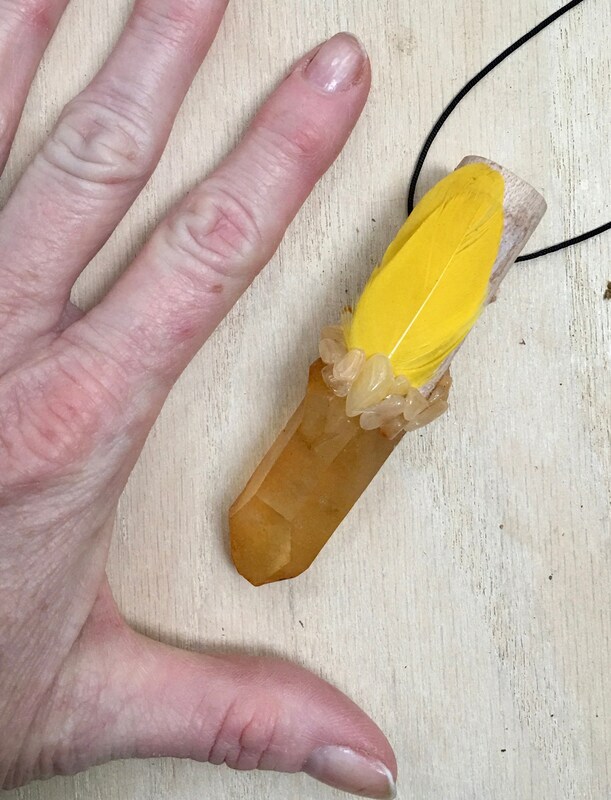 Golden Ray - Brings Golden Light of Universal Life Force into the Body to Clear Blockages and Imbalances for Healing; Aids with Raising Your Vibration; Facilitates Communication with Higher Realms; Empowers Intentions; Soothes Emotional Body; Encourages Compassion, Understanding, Creativity & Mindfulness. 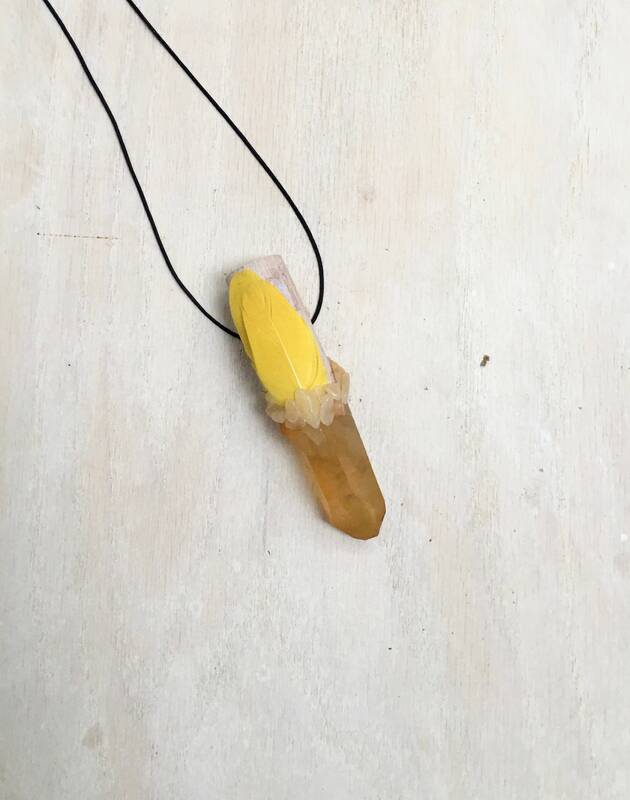 Golden Healer Quartz - powerful healing crystal as it allows the golden light of Universal Life Force to flow into body through the Crown Chakra. The energy then spreads its golden light throughout the body as it clears blockages and imbalances that ready the body for multi-level healing. The Golden Ray energy may represent the Divine Spirit, Source and Creation. A Master Healer. Its energy is powerful, yet gentle and soothing. Used to raise the holder’s energy vibration, which will facilitate spiritual communications over a long distance, including between worlds and dimensions. Assists to raise the frequency/vibration of your intent. 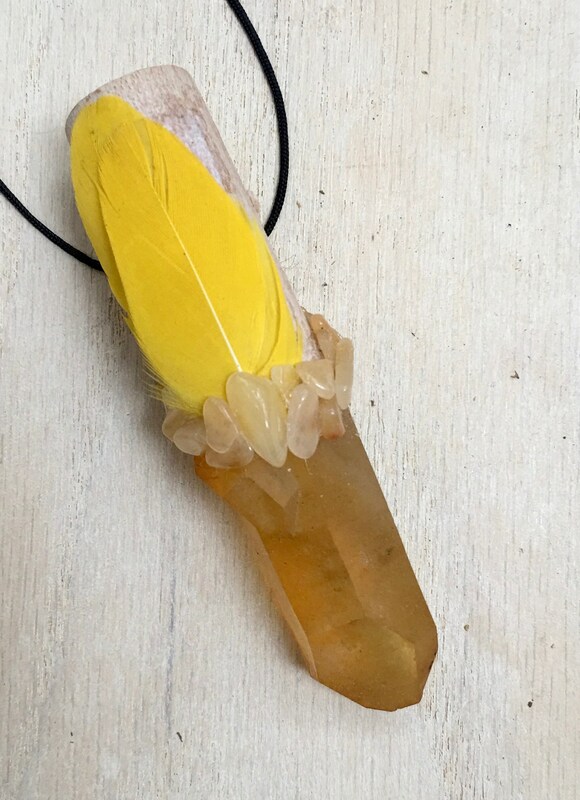 Yellow Aventurine - great for opening and balancing the Solar Plexus Chakra. Also helps to balance the Sacral Chakra and helpful when oversensitive or indecisive. Can help focus intentions for manifesting a sense of ease in being yourself. 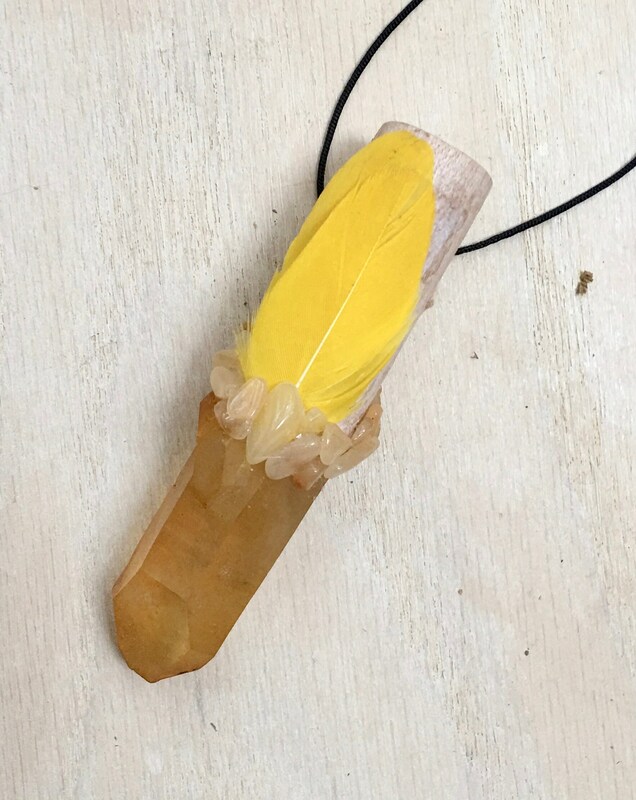 The golden light of Yellow Aventurine fills one with compassion and understanding, alleviating grief and centering the emotions. Balances the Yin-Yang energies, eases anxiety and expands the flow of creativity. 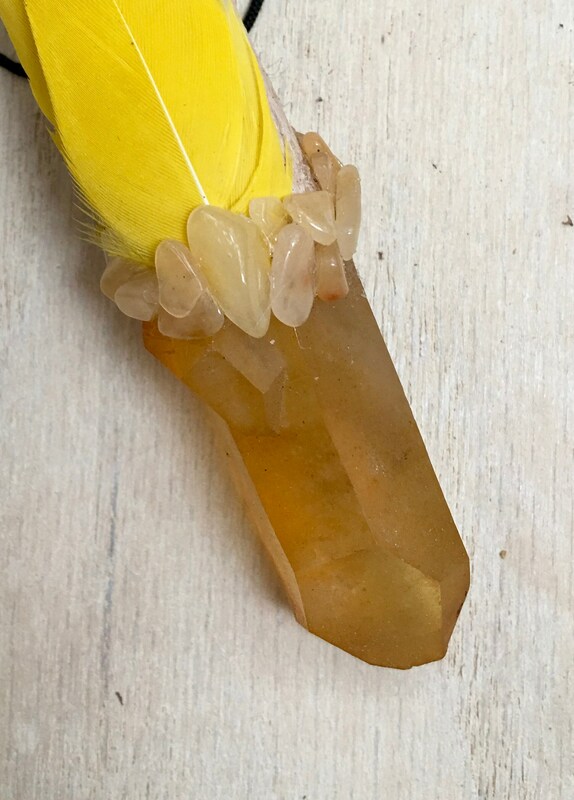 3.5 inches long; Golden Healer Quartz 1.5 inches.